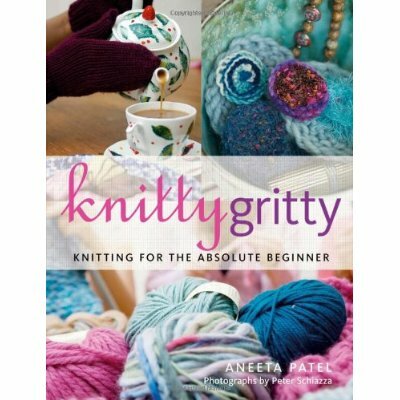 I got a great book for my birthday; Knitty Gritty by Aneeta Patel. I have been wanting to learn to knit for a long time so now is my chance. I will update this post with photos of my efforts, so watch this space! The book is really well written and easy to understand, with photos and text explaining techniques and styles, as well as some projects. So far I have managed to cast on and knit some rows, plus add in a new colour wool. It is definitely taking patience and concentration, but I think I’ll be able to get the hang of it pretty quickly and am really enjoying learning. After a bit of practising, it was requested that I start knitting Adam a NUFC scarf, I have completed six stripes so far. It should be ready for him to wear by this Winter!!! Gallery | This entry was posted in Books, Design / Arts / Crafts and tagged Aneeta Patel, craft, Knit, Knitting, Knitty Gritty, Learn to Knit, Wool. Bookmark the permalink. Thanks Ade, I am truly a beginner but would appreciate any tips. I remember your wonderful photo of Eileen’s beautiful knitted blanket, I have a lot to learn!